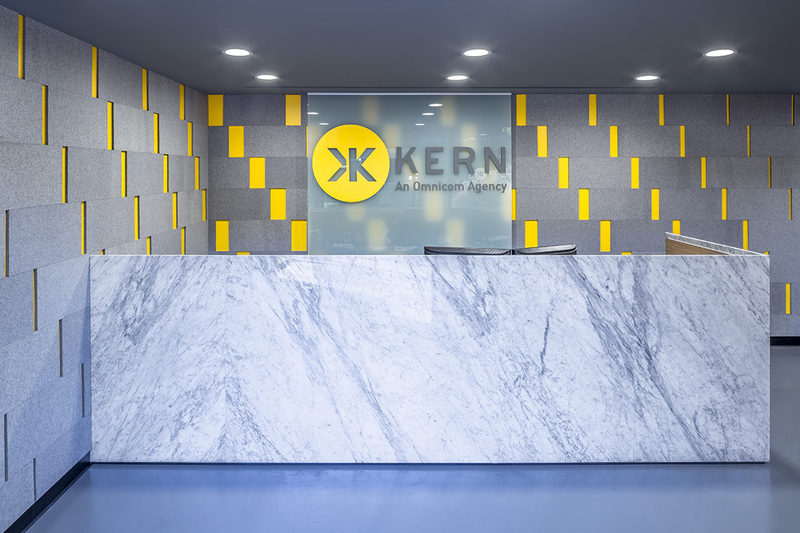 Envisioned as a cosmetic overhaul to a marketing company’s lobby and employee lounge spaces, the Kern Agency design delivered high impact on a minimal budget. 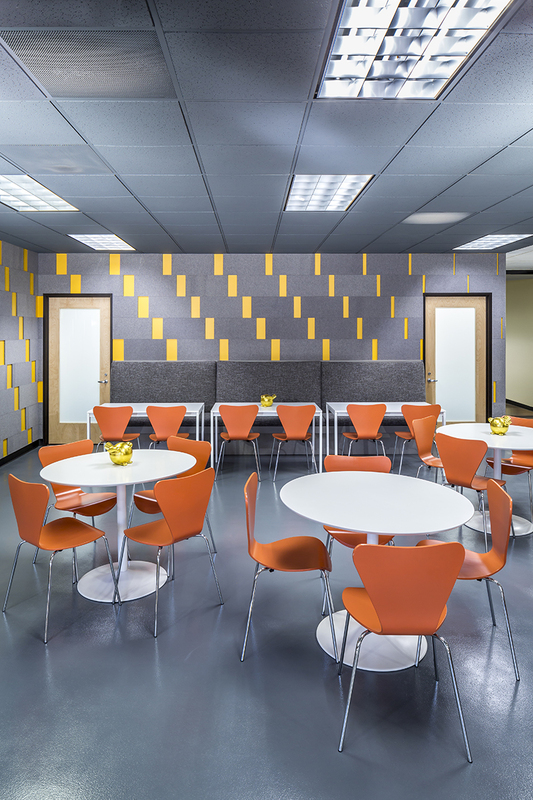 The branding of the company utilizes pops of color along with form and textures from nature, so Modal Design used this same language as inspiration for the project. 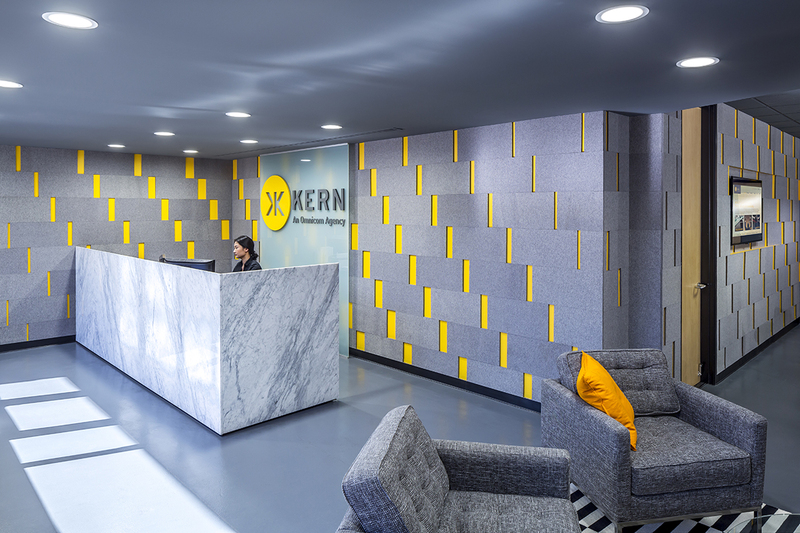 The design creates an immersive environment through the use of paint and material textures, creating a distinct juxtaposition to the generic office space beyond. 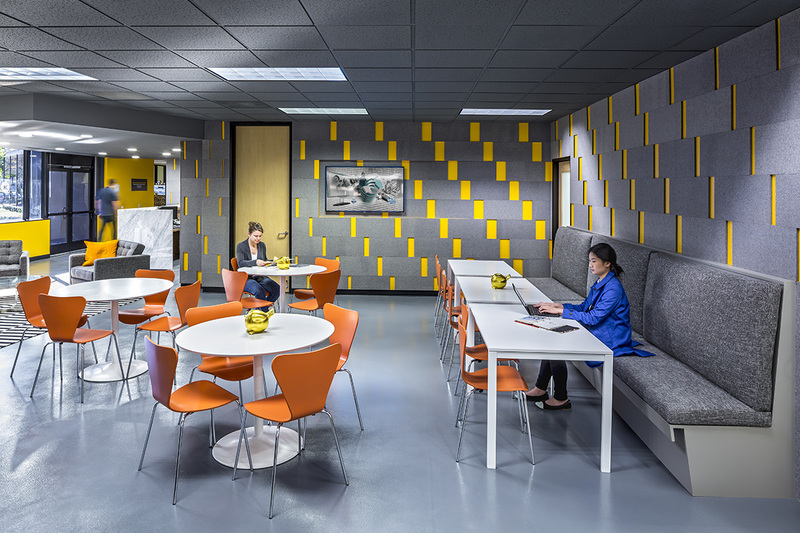 Paint colors were carefully chosen to match the companies brand palette, and textural felt panels were used to connect the painted surfaces and as an acoustical treatment in the large public space. Pops of color reveal themselves as a result of the progressive gaps in the rectangular tiles.